H.W. 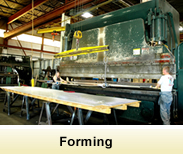 Metal Products, Inc. is a full-service steel processor and tubing manufacturer, specializing in fabricated steel products up to 60 feet in length. 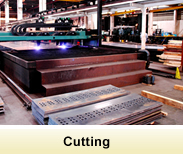 We have the capabilities to cut, punch, form, and weld steel products, and we are the only steel processor in the U.S. that can provide all these services for steel of this size under one roof. 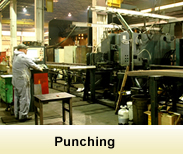 We provide the same fast, efficient steel fabrication processes for products of any length. Our versatility and flexibility enable us to provide complete turnkey service for our customers. We utilize lean manufacturing processes throughout our fully-enclosed, 120,000 ft.2 facility to maximize efficiency without sacrificing quality, and we offer an array of secondary services to save our customers time and money. Our goal as a steel processor is to provide the fabricated products our customers need faster, easier, and more cost-effectively than both the customers’ in-house processes and our competition. H.W. Metals works with a variety of metal materials, including high-strength steel grades. We buy our steel mill-direct to secure better prices for our customers and to guarantee that they receive only the highest quality steel. We source our steel from numerous domestic and foreign mills but will also work with customer-supplied materials upon request. H.W. 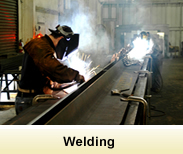 Metal Products, Inc., is an AAR (Association of American Railroads) certified steel processor and tubing manufacturer. We are your Number 1 domestic outsource option. 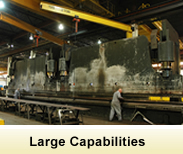 Request a quote on steel processing for your application, or contact us to learn more.